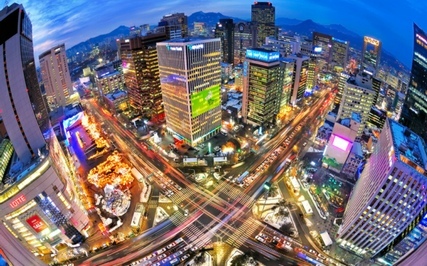 Seoul is the capital and the largest metropolis of South Korea. Its spectacular growth along with the great financial impact in global affairs exceeded all expectation that is why it was called the Miracle on the Ham river. Seoul is one of the few cities in the world that managed to rebirth from her ashes after the Korean War. Here everything is running fast this city has the fastest Internet connections and her subway is the largest by length. 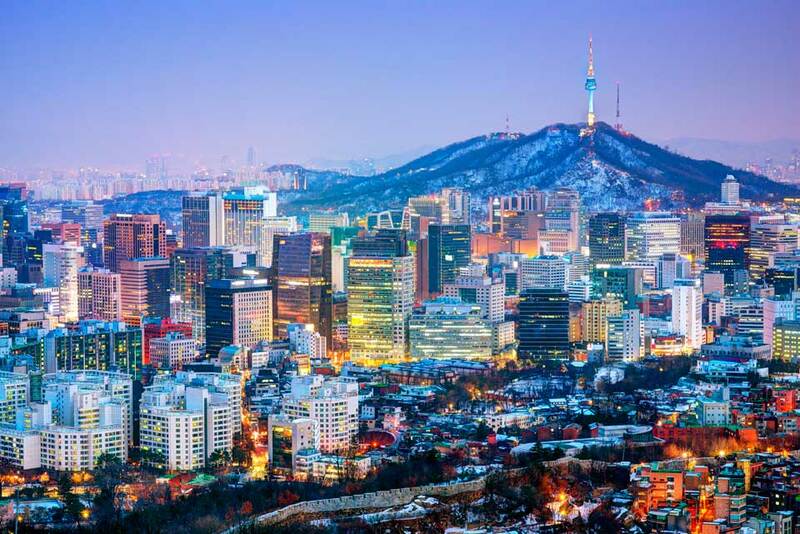 More than 10 million tourists visit Seoul annually. Apart from the tourists a great number of professionals visit the city mainly for two different reasons. The first is because here is a true paradise for investments and secondly because conferences of global interest are being organized in Seoul. Moving in and out of the city is very easy due to the advanced transportation system, but moving with comfort and according to your own pace and schedule is completely another story . Here is where van hire comes to satisfy your special needs. Book your mini van online at www.vanrental24.com and live every single minute of your trip. Seoul has a variety of interesting sights and of course with 12 seat minivan rentals every sightseeing tour is transformed into a thrilling experience. Start your exploration of the city from Namsam tower or as it is officially known N Seoul tower Take the short hike to the top even at night the stairs are fully illuminated. The amazing view of the city is remarkable and something you will never forget. Next stop is the Ham river which embraces Seoul from one end to the other. On summer time its banks are crowded with parks, water sports, bike rental and other activities. Make sure to take a cruise and see this beautiful city with a completely different point of view. During the sunset the cruise is even more amazing because a feast of colors is being created. Seodaeum Prison is a great part of Seoul's history. It used to house war criminals and freedom fighters here you are going to see the cruel part of history and what the destructive fury of people can provoke. A fine example of majestic architecture is the Changdeokgung Palace. The palace itself is a work of art. Is one of the five grand palaces built by the dynasty of Joseon.The building blend harmoniously with the natural landscape and its secret gardens are like a landscape that escaped from the pages of a fairytale. If you are a fun of history the museum of Korea is definitely a place you must see all of Korea's history can be found in one place.The building is quite large so you are going to spend the biggest part of your day here. The Nambaeum Market follows the rhythms of Seoul. The noise won't bother you at all because you are going to be occupied with the thousand different kind of items that are lined up here. From clothes to food and jewelery there is nothing that cannot be found here. In fact, the market is so big that is divided to areas. The Korean folk village is the perfect opportunity for a daily escape. It is located in just of Seoul Suvon and with minivan rentals you are going to be there in practically no time. Traditional houses, customs and friendly people create a fantastic atmosphere that everybody should see. Make sure to attend on of the many traditional shows that include representations of Korean wedding dances and much more. Many powerful and wealthy businessmen visit Seoul these people demand VIP transportation during their stay Van hire offers exactly that A class services in combination with comfort and fast travelling. We are not talking about just another vehicle, but for a potential on road well equipped office. You can have everything your partners can come along this way nothing of your daily routine is going to change no matter that you are travelling. For a second category of people who come to Seoul especially for the conferences that are very frequently organized here Van rental is the ideal and most cheap solution for luxury group travelling, that guarantees everyone will be on time.